Your reaction to this question on a job application or agency registration form will probably depend on whether you are one of the 11 million people in the UK who has a criminal record. If the answer is no, you will probably not give the question a second thought as you complete the rest of the form. If the answer is yes… well, that’s a different story. Business in the Community is spearheading a campaign to encourage employers to ‘Ban the Box’ which means removing the question from job application forms that ask applicants whether they have a criminal conviction. The process is designed to prevent applicants from being filtered out of the recruitment process at the earliest stage, allowing them instead to make the disclosure at a later stage, thereby giving them an opportunity to demonstrate their skill and capabilities. The REC has recently signed up as a Ban the Box employer. Given that the REC generally uses agencies to recruit, this has also given us an opportunity to consider what support agencies need to be able to provide inclusive recruitment processes. Agencies are legally required to make all such ‘reasonably practicable’ enquiries to ensure that it would not be detrimental to a candidate nor the client for the candidate to work in a particular role. But what does this mean in relation to criminal convictions? We will be publishing guidance and a toolkit for members but in the meantime here are some of the things that agencies need to be aware of. Ensure that they fully understand their clients’ policies on recruitment of candidates with criminal records. Not having this information can leave agencies in the difficult position of having to decide whether or not the client would consider a conviction to be relevant to a role. Check whether their clients are one of the many employers who have signed up to Ban the Box and agree what stage in the recruitment process any relevant information about a candidate’s criminal record should be provided. Spent convictions: With the exception of certain roles, e.g. working with children or vulnerable adults or in certain regulated roles, candidates are not required to disclose all criminal convictions. Convictions which do not result in a custodial sentence of more than 48 months can become ‘spent’ after a period of time and once spent, candidates are not required to disclose them. Protected offences: In addition to the above, for candidates who have no more than one offence, ‘filtering rules’ mean that historic offences are ‘protected’ and need not be disclosed, even for roles working with vulnerable groups or in regulated sectors. 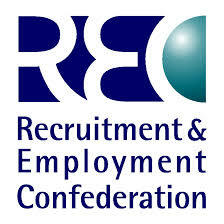 REC members can access further information in the REC Legal Guide. This article was originally published on the REC’s blog and is reproduced here with permission and thanks.